Cesar Azpilicueta has been a major part of Chelsea’s recent success since joining the club in 2012. The man we love to call ‘Dave’ was signed for just £7M, an absolute bargain in today’s crazy transfer market. He may not score as many goals as Sergio Ramos or have the presence of Mats Hummels but I’ve listed the qualities that make the Spaniard stand out above many centre-backs around the world. Dave should get included in the Fifa World XI based on last seasons performances. Azpilicueta’s versatility was once again shown last season when he adapted to playing as part of a back three. This position move came after the 3-0 defeat to Arsenal. Of course, it was the game that changed our season. Azpilicueta developed a great understanding, mainly with Victor Moses and Gary Cahill. Who would have thought that the Spaniard would be able to play in all defensive positions and still maintain his consistency? Former manager Jose Mourinho famously said “I think a team with 11 Azpilicuetas would probably win the Champions League.” referring to the amount of positions he can play in. There aren’t many players currently that can play in these different positions and reach the level Azpilicueta has got to over the last few seasons. Despite not being the most attacking minded defender, whether at full-back or centre-back. Azpilicueta doesn’t often get bullied by an opposing player. The only times I really saw him beaten were mainly in the 2015/16 season. You know you’re not having a good season when your most consistent player isn’t playing to his standards. I’m quite convinced that the term “In his back pocket” came about because of Azpilicueta’s ability to take opposing players out of the game. Dave may not be as quick as Marcelo but his sense with positioning gets him out of jail. In one on one situations, the 28-year-old has proven to be one of the best in the business. Azpilicueta has shown many football fans that he isn’t limited on the ball. The link-up play he has formed with recent signing Alvaro Morata has been telepathic at times. Providing diagonal, zipping crosses for his countryman to put away has been part of his game where there’s been noticeable improvement. In fact, Azpilicueta has four assists in the Premier League already this season, the most of any defender. Only David Silva and Henrikh Mkhitaryan have more assists than Dave. Azpilicueta has also scored a goal this season in the 6-0 thumping of Qarabag in the Champions League. It was a nicely timed header from a cross by Cesc Fabregas of course. We also can’t forget about Azpilicueta’s strike against Leicester City in the league cup last season. We’ll be hoping he can continue his partnership with Morata in the hope the striker can fire us to great things. The final reason of why I think Azpilicueta is amongst the world’s best in his position. Leadership is something that has been influenced by players like John Terry and Frank Lampard since joining the Blues. 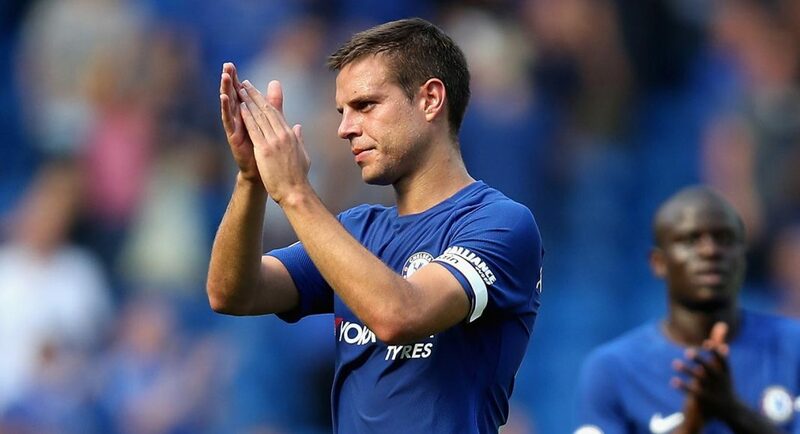 Whenever Cahill has been out of the side so far this season, Azpilicueta has stepped up and demonstrated what it means to play for Chelsea. Andreas Christensen who has recently been introduced to Antonio Conte’s system has learnt from Azpilicueta’s experience. When we are regrouping for a corner, Dave is always there to make sure players are back in their positions. Many fans have said that the Spaniard should be our captain instead of Cahill and it’s hard to argue with them.